Our first few days in China were our last few we would spend with our Vodkatrain group and we were met off our last stint on the trans siberian railway by our last local honcho, Snow. We started off by having a massive Chinese feast and ate far too much exciting food (including donkey!) after all the simpleness of the last few weeks! It was delicious though. 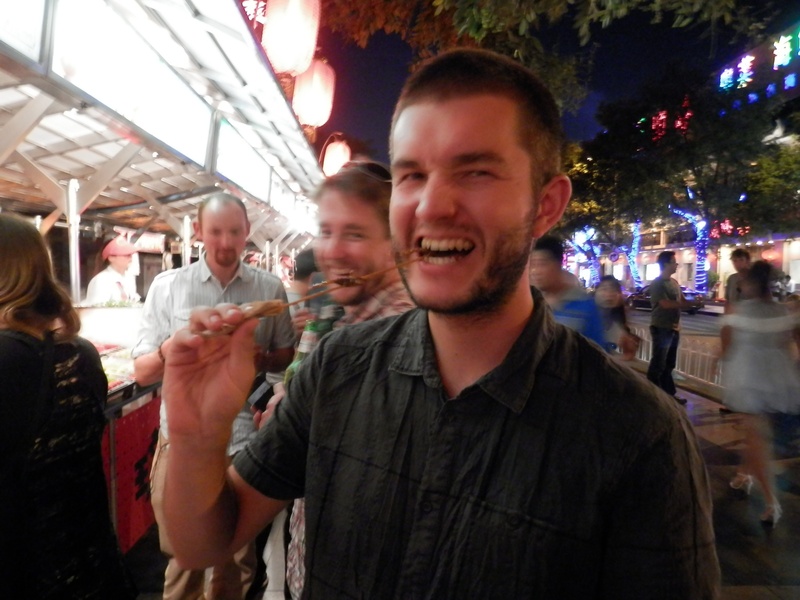 We also went to the Dongcheng Night Market which is famous for its exotic food – we both ate a scorpion each. Mmmmm… tastes like chicken. 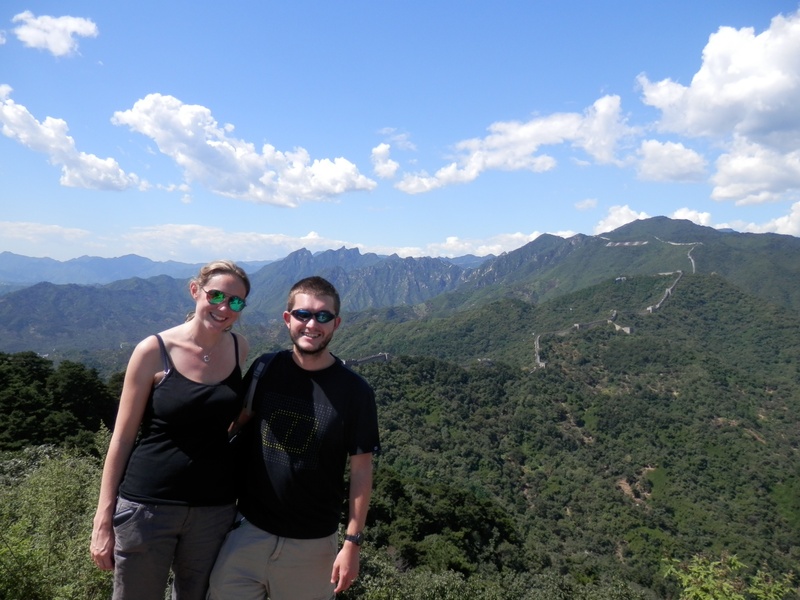 We then hit China’s most famous landmark, The Great Wall. We went out to the Mutianyu site, which is slightly further out so I think was a little bit quieter. We took the cable car up and hiked along the wall and up tonnes of steps to get some amazing views. We then got to toboggan down the hill from the Great Wall which was pretty fun, and exactly what the ancient Chinese had intended. After heading home, we went to a Chinese acrobatics show, where they did some mad things and then Snow took us to a karaoke bar, at 9pm, completely sober. Fortunately a few rounds of the Roxanne drinking game sorted us out for the night and we spent a happy few hours singing terribly, before being the only western people in a Beijing club. We then got to the official end of our Vodkatrain tour and spent the next few days saying goodbye as various people left to go home or to go on to other travels. We also saw more of Beijing’s historical sights, including the Forbidden City, The Summer Palace, Jingshan Park and the Drum and Bell Towers. 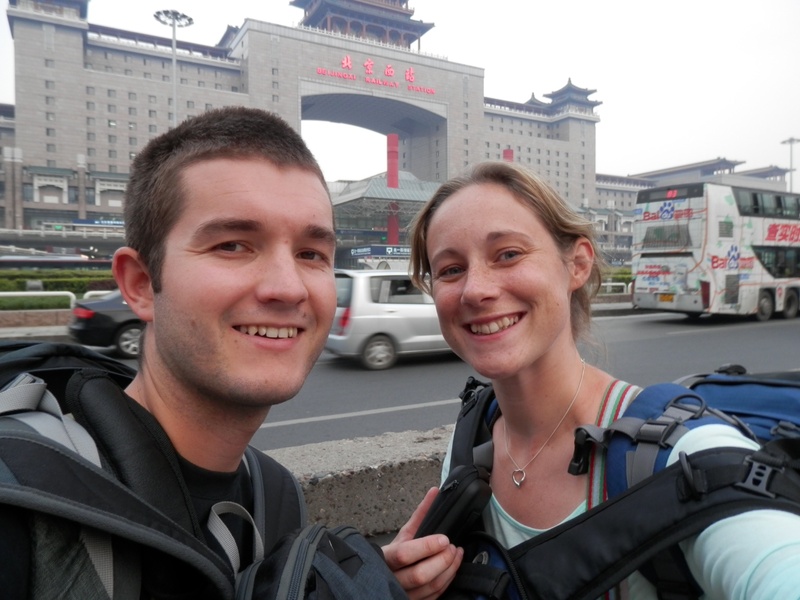 Beijing has been a bit mad, chaotic and busy, but an awesome introduction to China. It’s been sad to say goodbye to our Vodkatrainers, but hopefully we’ll be catching up with a few again on our travels. It’s also nice to now be starting our adventures on our own. Next stop, Xian. We’ve just reached Lake Baikal after spending four days on the Trans-Siberian railway. We have travelled about 5,000k across Russia and Siberia and on the third day we passed from Europe into Asia. Our excellent Lonely Planet guide book said the was some sort of obelisk you can see out of the window to mark it, but we missed it. We must have been too busy playing card games, reading and drinking vodka obviously. The train is an experience; 4 days and nights on a train, wandering between carriages and watching the world roll by is the only thing you can do. Worth more writing about at a later date. The time on the train passed pretty well because we keep going through time zones so we are now 8 hours ahead of the UK. It was nice to reach Irkutsk and spend the day and night by the world’s deepest lake. It’s been rainy and cold, but we had to go for a swim while we were here, which was pretty cold at 15 degrees. We’re back on the train tonight and will head into Mongolia tomorrow for 5 days in a ger camp in the steppe.